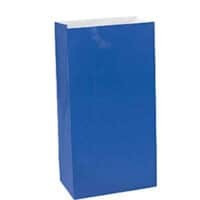 A pack of 10 massive blue party bags. Printed happy birthday design on the front and plain on the rear. The bags are around 32cm x 22cm.